As the world economy heads deeper into an unprecedented recession, the spectre of social unrest is again spreading across Europe and the World. In the UK we have experienced an extended holiday from wide-spread class struggle as social democracy and capitalism worked hand in hand to maintain social peace. But as the guarantees of the banks have gone, so too have the guarantees that the state can manage the emerging social conflict, which could potentially turn into social rebellion unseen in the UK for decades. So, where does that leave the Anarchist Movement? Are we relevant? Do we exist in a form coherent enough to actually be called a movement? Are we progressing? 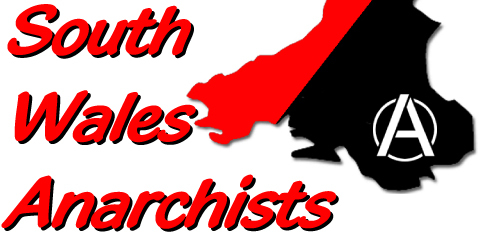 The Anarchist Movement Conference is a chance to put our ideas on the table and rebuild ourselves. The barriers that exist need to be broken down, the experiences and ideas of those involved in anarchist politics need to be shared, discussed, critiqued and debated. The task is urgent, practical and necessary – are we as a movement mature enough to face the challenge? How and where should we organise? Who are we are speaking to? How do we relate to the wider world as anarchists? These are some of the discussions that might happen during the course of the weekend. We want this conference to be a historical turning point, a point where we manage collectively to come together to look at the problems and work towards the solutions. Anarchists from every federation, network and local group, those involved in diverse struggles from environmental direct-action to community work, trade unionism to DIY projects – we invite you and encourage you: Claim your place at the table and help make a movement! If we truly aim to be part of making history we need to remake ourselves as an organised, pragmatic movement to become an effective part of revolutionary change. If we do not learn from the mistakes of the past we are doomed to repeat them. The anarchist ideals of mutual aid, solidarity and the desire to live as equals have been echoed throughout our history, in every country, by women and men, regardless of race or ethnicity. We have a proud history, this conference is both about recognizing where we have come from and organizing where we want to go. Be a part of it! Anarchist Movement Conference 2009 will happen at Queen Mary & Westfield College on Saturday June 6th and Sunday June 7th, 2009. The space will include 20 rooms and a large hall as well as a creche for both days. People will need to register before hand to ensure that the conference runs as smoothly as possible. More information will be made public every month as the conference takes shape.